The spirit and sound of Beatlemania is coming to Carlisle Racecourse on Friday June 8th – the course’s annual #FeelgoodFriday! Following what promises to be another thrilling afternoon of racing world renowned Beatles tribute band – The Mersey Beatles – will play a special post-race gig in the Paddock. 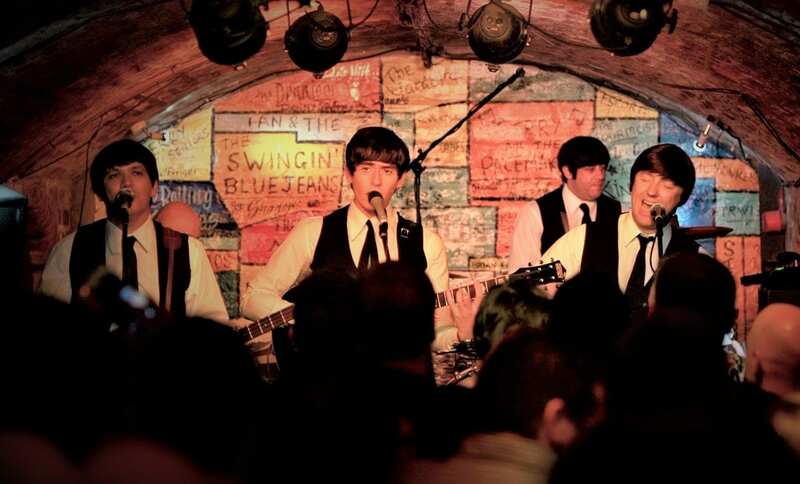 The band – who have played sold out tours of the USA and Europe and were the resident Beatles’ band at Liverpool’s world-famous Cavern Club for a decade – will play a hit-packed set of Fab Four classics. Molly Dingwall, Carlisle Racecourse’s General Manager, said: “We love our Feelgood Friday events here at Carlisle and we are really excited to be bringing such a great band as The Mersey Beatles to the racecourse. “They have played sell-out shows around the world and, later this year, are embarking on a big UK tour, so this is a great chance for racing and music fans to see them here first! “Hopefully the day will be graced with lovely sunshine, some great action on the track and a brilliant post-racing gig in our paddock. This year marks the 55th anniversary of The Beatles playing Carlisle’s former ABC Cinema. Their February 1963 gig is now the stuff of local legend as it was after this show when John, Paul, George and Ringo were famously asked to leave a golf club dance, held at the Crown and Mitre Hotel, for being inappropriately dressed in leather jackets. Not that fans of the world’s most famous band will encounter any such problems at Carlisle Racecourse on Friday June 8th. Molly added: “You have no such worries as leather jackets, winklepickers, mini-skirts, or any Rock ’n’ Roll fashions, are more than welcome here on the day! Described by the British Beatles Fan Cub as ‘the best Beatles tribute band’, The Mersey Beatles were all born and grew up in Liverpool. When it comes to stage performance, they brilliantly exude the inner and outer spirit of the original Fab Four from the costumes, the haircuts, the instruments and, of course, that unmistakable and legendary Mersey sound. #FeelgoodFriday with The Mersey Beatles is on Friday June 8th. Gates open 12pm. First race is 2pm, last race 5pm. Adult tickets are £15 (in advance) or £18 (on the day). All under 18s get in free when accompanied by an adult.